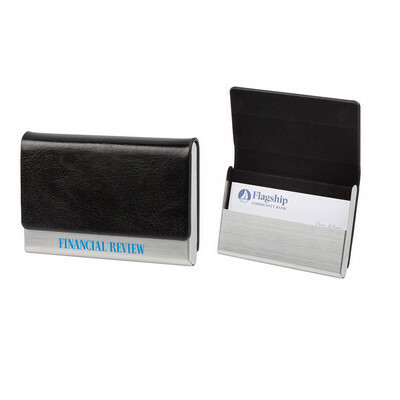 Features: Stainless steel and PU business card holder. Felt lined with magnetic closure. Price includes : 1 COLOUR 1 POSITION PRINT. Setup is included.